Your donation will be greatly appreciated. 2015 was an exciting year with important space accomplishments, including Space X's successful landing of the Falcon 9, amazing images from Pluto, and a greater NASA budget which advances key components for manned space exploration. Let's look ahead now and help make 2016 the year that a strong space supporter is elected president--no matter who wins. Here's how: Save Manned Space's non-partisan educational campaign will educate candidates on the immense benefits of remaining the leader in space exploration, and why we must go to the Moon and Mars. Please donate now to help educate candidates on the space program. Allowing opponents of the space program in the media and politics to set the agenda could result in a repeat of 2012 where Newt Gingrich was attacked by other candidates and the media for supporting a bold new space program. The stakes are too high to allow the next administration to be anti-space, uncaring, or content with allowing China and Russia leading the new space race. We can--and must--go to the Moon in the early 2020s, learn how to safely live on another world, and go to Mars in the early--not late 2030s. Many people, much less politicians and candidates for president, don't understand that the space program returns far more to the economy in new inventions ('spinoffs') than the investment. And that's not counting the job creation, advances in science, inspiration for students to go into STEM careers, and even greater international respect. Step one for the next president is to cancel the nearly-useless Asteroid Redirect Mission, and replace it with the exciting "Apollo 8 for Mars," the 2021 Mars-Venus flyby, which can be accomplished with hardware already being built and tested--including the mission habitat which NASA will complete in 2018. This should be enacted in early 2017, while the new president formulates the long-range national space strategy which will in fact make NASA's "Journey to Mars" a reality, not just a slogan and hashtag. Please donate now to help Save Manned Space educate candidates, lobby and conduct educational projects for a bold new space program to take us to the Moon and Mars! Donations are not tax deductible. 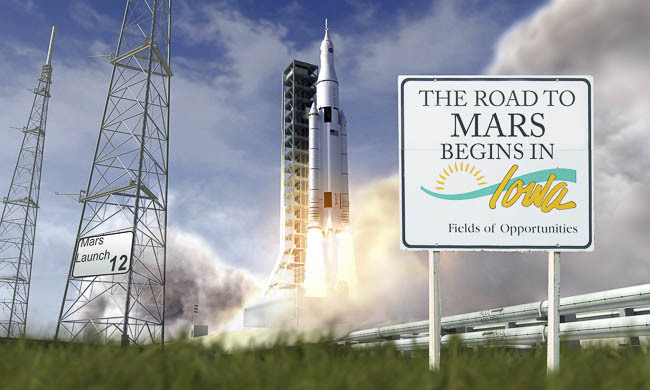 Can YOU go to Iowa and New Hampshire to Advance Space Exploration? Are you in, or can you visit Iowa, New Hampshire, or any of the other primary states? The candidates and their senior staff are there now. They are greeting people in coffee shops and diners, and hosting small forums--and they WANT to talk to you. Please read the linked article: Given current plans and a lack of strong leadership, NASA might not land Americans on Mars until the late 2030s or even into the 2040s. However, every accomplishment we strive for in space exploration--landings and bases on the Moon and Mars, and much more all could be accomplished in the 2020s and 2030s. It all depends on leadership and willpower, and what we as space advocates do here and now. From Mercury to the Apollo 11 landing on the moon took Americans just eight years, and with the amazing advances in technology since the 1960s, we should be able to make progress much faster. The only reason NASA currently has no plans during the next ten years for deep space exploration other than a single test flight of Orion and the nearly useless Asteroid Redirect Mission is a lack of leadership or desire to lead the world in space exploration. It's not a function of technology. Here's the vital point: the next president will have the opportunity to put us on track to great accomplishments in space--if the candidates hear from you now. This is the time to go to Iowa, New Hampshire and the other primary states, and have serious talks with the candidates or their senior staff about why remaining the leader in space exploration is essential to our economy, high tech competitiveness, national security, as well as inspiring students for STEM careers. Why exploring the Moon and Mars will reap great benefits for all Americans. Why space exploration is 'American exceptionalism' defined. And why replacing the Asteroid Redirect Mission with the inspirational and essential 2021 Mars-Venus flyby will put us back on track for a serious space program. Some candidates might have no position or interest on space exploration, or even feel it is just a waste of funds. They may not understand the great return to our economy and high tech competitiveness. If candidates understand the value, they will confidently out-bid each other in support for the space program, rather than act defensively to ridicule it. Consult this list of primary dates for the balance of the primary season. Be aware that talk of humanity becoming a spacefaring species or colonizing Mars will scare away politicians and backfire. That was the lesson from the 2012 campaign, when Newt Gingrich was attacked in the media and by other candidates for talking about a Lunar colony. Keep it realistic and focused on what politicians can accept and what the media can't attack. Your action can help candidates realize the importance of a strong space program, and help result in a pro-space president, no matter who wins. We will post specific talking points soon. Contact us for more information, and let us know of your meetings and results. Forty seven years ago today, on Christmas Eve, 1968, Apollo 8 took man for the first time around the moon. One of the most famous photographs of all time is the "Earthrise" over the moon, shot by William Anders. As they orbited the moon, the three astronauts, Frank Borman, Jim Lovell and Bill Anders, took turns reading from the book of Genesis. Watch the above video for their historic broadcast. From NASA.gov: "We were told that on Christmas Eve we would have the largest audience that had ever listened to a human voice," recalled Borman during 40th anniversary celebrations in 2008. "And the only instructions that we got from NASA was to do something appropriate." "The first ten verses of Genesis is the foundation of many of the world's religions, not just the Christian religion," added Lovell. "There are more people in other religions than the Christian religion around the world, and so this would be appropriate to that and so that's how it came to pass." Jim Lovell: "The vast loneliness is awe-inspiring and it makes you realize just what you have back there on Earth." "For all the people on Earth the crew of Apollo 8 has a message we would like to send you". "In the beginning God created the heaven and the earth. And the earth was without form, and void; and darkness was upon the face of the deep. And the Spirit of God moved upon the face of the waters. And God said, Let there be light: and there was light. And God saw the light, that it was good: and God divided the light from the darkness." "And God called the light Day, and the darkness he called Night. And the evening and the morning were the first day. And God called the firmament Heaven. And the evening and the morning were the second day." "And God said, Let the waters under the heavens be gathered together unto one place, and let the dry land appear: and it was so. And God called the dry land Earth; and the gathering together of the waters called he Seas: and God saw that it was good." Frank Borman: "And from the crew of Apollo 8, we close with good night, good luck, a Merry Christmas, and God bless all of you - all of you on the good Earth." Space X made history this week with its successful landing of the Falcon 9 first stage after boosting eleven Orbcomm satellites to orbit. The significance of landing and reusing rockets can not be undervalued. Once the return and reuse of rockets becomes routine and dependable--and critically--as safe and reliable as new rockets, the cost of launches will drop dramatically. Reusability has always been the 'gold standard' for the ideal rocket. Early designs for the space shuttle offered full reusability, though the 'bean-counters' chose a cheaper hybrid design that in the long run probably cost more per launch. More than 20 years ago, the X-30 National Aerospace Plane was almost built in the 1980's to replace the shuttles with a runway-to-runway reusable spaceplane. The DC-X was another important stepping stone. Blue Origin successfully landed their rocket a few weeks ago, and now Space X brings the light of dawn to reusability. There may be many great successes and failures to come as the technology gets perfected, but at the end of the rainbow may be reusable rockets as dependable as new ones, as is the case with airplanes. The stresses of spaceflight and landing may limit the number of times a rocket can be reused--the comparison with airplanes is similar, however the forces are greater and possibility of crashes due to high winds or mechanical failures will be greater for the near future. Lessons to be learned over the next few years will include the amount of refurbishing necessary to assure a dependable relaunch. With the space shuttles, there was a always great deal of refurbishment, so we should not expect short turnarounds with minimal work. Also, for the near future Space X will be focusing on recovering first stages, and not the second stage. One day, you might ride on a reused rocket system to orbit, the moon or Mars for a fraction of the price imaginable today. And perhaps one day too disreputable used rocket lots will appear on the wrong side of the tracks, offering worn out 'fixer-uppers' to the handyman astronaut or the uninformed. Congratulations and best wishes to Space X for the perfect landing, and to all the predecessors who helped pioneer the way. 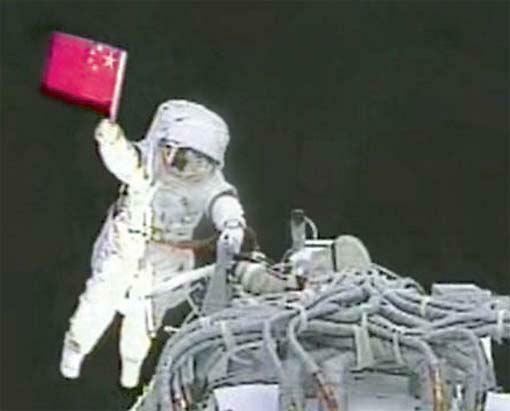 Decision Point: China and Russia are in a Space Race. Should the U.S. Join to Win? China, Russia, Europe and the United States are all in a space race. The prizes are not just bragging rights or even who makes the historic 'first steps.' The winners will reap rich rewards in high tech leadership, new inventions, national prosperity and pride, and international respect. China and perhaps Russia may take advantage of the possible absence of the U.S. and claim the Moon and Mars as their own territories. Losers will chart a course for irrelevance and retreat in an increasingly technology-centric and militaristic world. The United States has been absent from the race for almost a decade, but we can lose a race we only pretend to have entered. Under this administration, the plans for returning to the Moon before 2020 were cancelled, as well as the possibility of building the necessary experience to proceed to Mars. NASA's "Journey to Mars" is at present essentially hashtags and PowerPoints, and the entirety of the next decade as planned by this administration will be spent on just one single crewed mission to Lunar orbit to sample a rock removed from an asteroid--the "Asteroid Redirect Mission (ARM). This is not because our capabilities are lacking, but it is entirely due to leadership decisions by the White House. Meanwhile, China and Russia are building their rockets and making their plans to conquer space. In the news is Russia's announcement that it intends to build a permanent manned Lunar base, and is already building a robotic lander. Launch a Lunar orbiter in 2024 to select a base site. 6 rocket launches containing habitat modules. Complete construction of the base within a decade (similar timetable to ISS). Permanently crewed starting in 2030. Russian deputy premier Dmitry Rogozin outlined Russia's ambitions: "We are coming to the moon forever." Should Putin decide to devote the resources to establishing Russia as the leader in space, there is nothing to prevent him from building this Lunar base, and given his wars and designs on neighboring countries, perhaps nothing to prevent him from challenging China for ownership claims on the Moon. The above timetable could be accelerated greatly given determination, perhaps to deny exclusive Chinese dominance of the Moon, or to demoralize and discourage the U.S. from resuming a real space program. Europe, after begging the NASA Administrator to lead a Lunar base construction program, is going it alone with their "Moon village" concept, perhaps teaming up with Russia and China--leaving the U.S. stuck in orbit for another generation. Meanwhile, China is proceeding in their race to conquer space, quietly building Apollo-scale infrastructure suitable for an Apollo-scale breakout in the near future. This follows their doctrines of deception and covertly building forces until ready to act. Their moon rocket (Long March 9) looks remarkably like our SLS, and their crew capsule also bears a remarkable resemblance to our Orion and Boeing capsules. "Conquer" may in fact be the correct word for China's space goals, for if the world is to believe they will not attempt to claim the Moon and eventually Mars, then they are setting a poor example by attempting to seize the South China Sea in violation of 400 years of international law and agreements. China's space program is run by their military, making any U.S. cooperation impossible and dangerous. Their true budget is secret and could be increased at will to accomplish their objectives. China could land crew on the Moon in the early 2020s if they decide to, for example; and may already have secret plans to do so. 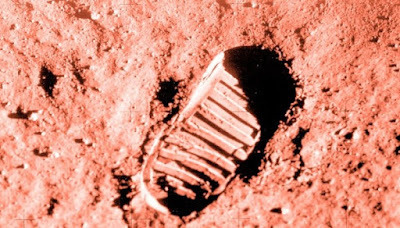 Most Americans who watched the Moon landing would have at that time believed that almost half a century into the future that the U.S. would have thriving Lunar and Martian colonies, and continued reaching for the stars, and that our budget for space exploration would have increased, not been slashed. The next president will have the opportunity to re-join and lead in the new but very real space race, or to continue the current president's abandonment of our leadership in space. A space race could be a very good thing for all nations involved. 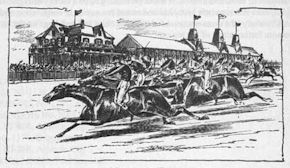 However, if the U.S. ignores the race and fails to provide the leadership and resources to not just compete, but to win; then the race will leave the U.S. behind, to our great national and economic detriment. All space advocates should use the campaign to reach out to candidates and their staff in support of a new and bold space program which will actually take us back to the Moon and on to Mars. 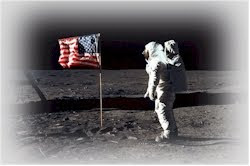 Let's join the new space race and see Americans once again on the Moon, and soon after on Mars! There is no doubt the next president will set NASA back on track towards sending Americans to the Moon and Mars. The current administration cancelled without replacement all plans to return to the moon and go to Mars. We lost at least eight years, and gave China and Russia a similar head start. Thankfully, Congress refused to cancel the rocket that can take us to the Moon and Mars, and in the FY 2016 budget has mandated building a transit habitat for long-duration missions such as the Mars-Venus flyby, offering the next administration the ability to get busy with little delay. In just eight years in the 1960s, we went from Project Mercury to landing on the Moon. In one decade we built the International Space Station. In one decade from today we could have a Lunar base, and in les than two decades a Mars base. On the first day in office, the new president must direct NASA to cancel the "Asteroid Redirect Mission (ARM), and replace it with the 2021 Mars-Venus flyby. 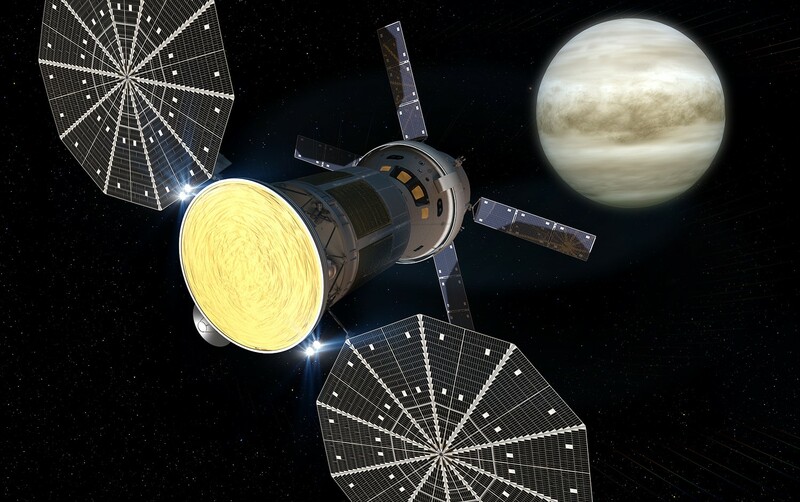 This would be the kickoff mission for a renewed space program which would put us on a real "journey to Mars." The 2021 flyby opportunity is too good to pass up, and it can be accomplished in the given timeframe because most elements are currently in development. It will be the "Apollo 8" for Mars; that is, it will validate the technologies for missions to Mars in the same way as Apollo 8 proved we could get to and from the Moon before daring to land. As a bonus, the 2021 window offers the rare opportunity to flyby Venus as well. The flyby mission will take our space exploration program out of "Scrub" and put it into "Launch," and get underway a relatively simple but breathtaking mission which will inspire youth, the general public, as well as Congress and opinion leaders. It will force the development of key technologies for Mars missions a decade or more earlier than would otherwise happen. The flyby will get us back in space while the administration readies the national space strategy which will take Americans to the Moon and Mars sooner than we have been led to believe is possible. Space experts and advocates should use the next year to talk to the presidential candidates and their senior staff; advocating a return to a bold space program worthy of the United States, and to avoid merely watching as China and Russia seize the lead in space for a generation. Suggest they use the flyby as the replacement for the ARM, and as the immediate goal for NASA while they develop the long range space strategy. China and perhaps Russia will begin their conquests of the Moon in the early 2020s, and prepare for Mars missions in the 2030s. Given China's increasing threats of war to seize the South China Sea in violation of 400 years of freedom of the seas, we must not assume China will not try to claim the Moon and Mars as their own property. Restoring America's leadership in space must therefore become a part of the 2016 campaign. There are different 'selling points' for the space program which will resonate for different candidates. Restoring the legacy of JFK's leadership, creating many new high tech jobs, spin-off advances in green energy and environmental technologies. National security concerns from ceding space to the tyrannies, undoing the damage the current president did to our future as the leader in space, advancing U.S. high tech competitiveness, making America great again, and restoring international respect and national prosperity. The 2021 Mars-Venus flyby enjoys great support in Congress, with NASA engineers, and among space experts and advocates. It is easier to accomplish, more exciting, and offers far greater returns than the ARM; and will fit into current budget projections. Replacing the ARM with the flyby is the best possible short-term goal for NASA, and one which will inspire the public and Congress to overwhelmingly support a real return to the Moon in the 2020s and a real journey to Mars in the 2030s. The Coalition to Save Manned Space Exploration cannot endorse the NASA Asteroid Redirect Mission (ARM), for it would be a decade-and-a-half detour from bold and possible missions to the moon and Mars. NASA scaled back the ARM from redirecting an entire small asteroid to lunar orbit, to only removing a small boulder from an asteroid. The new plan would send an unmanned probe to try to remove the rock from an asteroid in the early 2020s, and if successful, send a manned mission to explore it, perhaps 12-15 years from now. That's it. The manned deep space exploration effort from now through most of the 2020s would be consumed with preparing for this single manned expedition. This is not a "shoot for the moon" or "in this decade" type of roadmap like those which took us to the moon in just eight years from President Kennedy's challenge, built the incredible ISS in a decade, launched 135 shuttle missions, and accomplished so much more that awed the world and even improved our health. ARM is not worthy of the United States, unless it were an additional exercise during a period of building a lunar base, accomplishing the 2021 Mars-Venus Flyby, actively building everything needed for Mars missions, and establishing routine manned access to deep space. Additionally, the ARM would intrude into what private industries had already been planning. Let's let them do asteroid retrieval and mining, and let NASA concentrate on the giant leaps of pioneering permanent human presences on the moon and Mars. NASA could and must do far more in the 2020s. The cancelled Constellation Program was designed to start construction of a lunar base starting about 2020. President Bush's greatest mistakes were not making the case to Congress for the proper level of funding, and getting it into space before the end of his term. Had he, we would be ramping up now for American astronauts again landing on the moon before the end of this decade, instead of planning for a single mission of interest in the late 2020s. However, with early and strong leadership from the next president and sufficient funding from Congress, we can once again set course on bold missions to deep space. The President should send Congress a revised NASA budget suitable for progress towards real lunar and Martian exploration, such as following Neil deGrasse Tyson's call for 1% for space. America doesn't live in a vacuum, and setting weak and low goals will not stop others from seeking the power, prosperity and glory from becoming the undisputed leader in space. China is building their SLS-class rocket, the Long March-9 and their Orion-clone capsule, which will be able to take them to the moon and Mars. Count on them to start building their crewed lunar base in the 2020s while we are sill entirely focused on the asteroid boulder. If China, Russia and perhaps others take all the big "firsts," there will be less desire by the American people and Congress to try to catch up. Our high tech economy will suffer, and space dominated by the tyrannies will become unfriendly for America and commercial ventures. The next president must immediately issue an executive order to cancel the ARM, and to replace it with the 2021 Mars-Venus flyby, and further direct NASA to develop an 'in this decade' plan and budget to start construction of a permanent crewed Lunar base in the early 2020s, and the Mars landing and exploration in the early 2030s, to be followed by a permanent research base. Congress' role will be to specify remaining the leader in space exploration is in the national interest, and to authorize the above programs and appropriate sufficient funding. Past efforts often failed because insufficient funds were approved, forcing delays and cutbacks. Those could similarly derail this new space program. Your role can be to meet or contact presidential candidates, as well as current and prospective Members of Congress in support of restoring our space program to at long last return to the moon, and with lessons learned, make the historic journey to Mars. The essential components are specific goals and timeframes, deadlines, bold missions which will inspire the American people's support, and sufficient funding to actually bring the dream to reality. Please call your Senators at 202-224-3121 in support of amending the 2015 NASA Authorization bill to replace the asteroid mission with the 2021 Mars-Venus flyby and a specific roadmap to the moon and Mars. Note: the NASA Authorization has already passed the House. It really comes down to this: Should Americans be content spending the next 10-15 years on this one small step, or should we set our sights on another giant leap? A giant leap which could take us to the moon in the early 2020s and to Mars in the early 2030s? If we as space advocates can together unite on these goals, we will be able to most effectively use the next 15 years to advance our goals in deep space exploration. There's now hope for all spacefaring coffee lovers! 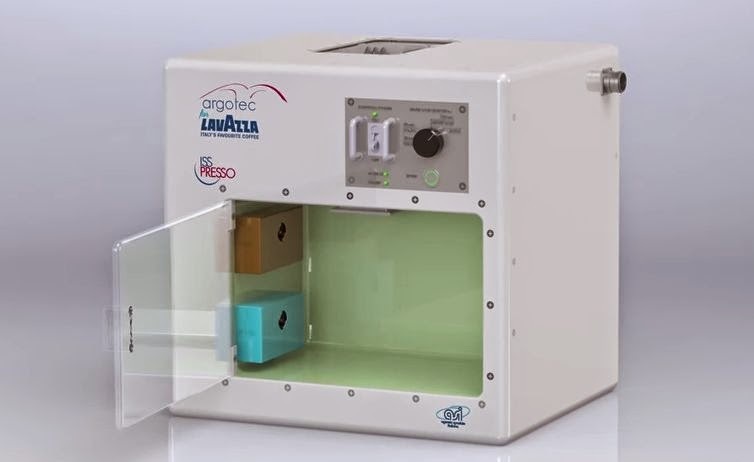 Thanks to the Italian Space Agency, Lavazza, and NASA, the Year In Space on the International Space Station​ will go quicker with the first espresso-maker in space, the "ISSpresso." Read NASA announcement of the news. 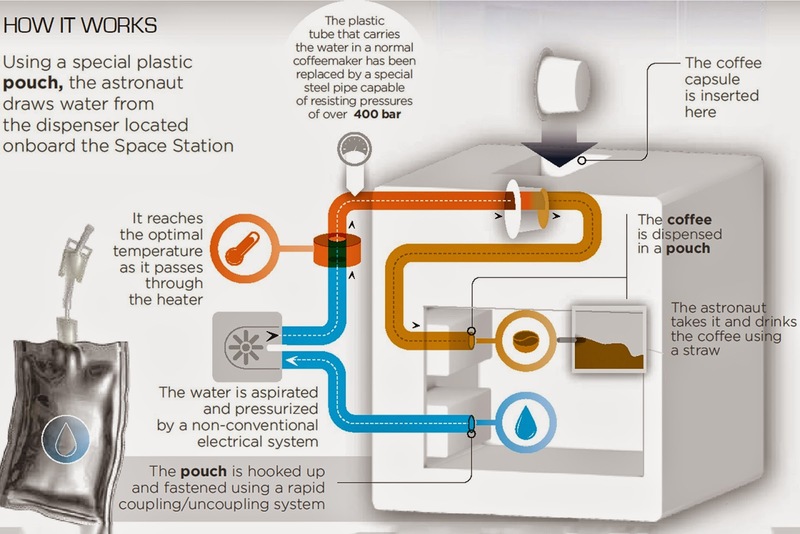 It is true that "today's coffee is tomorrow's coffee" on ISS with advanced water recycling technology, and this will be even more the case on missions to Mars, including the proposed 2021 Mars-Venus flyby. 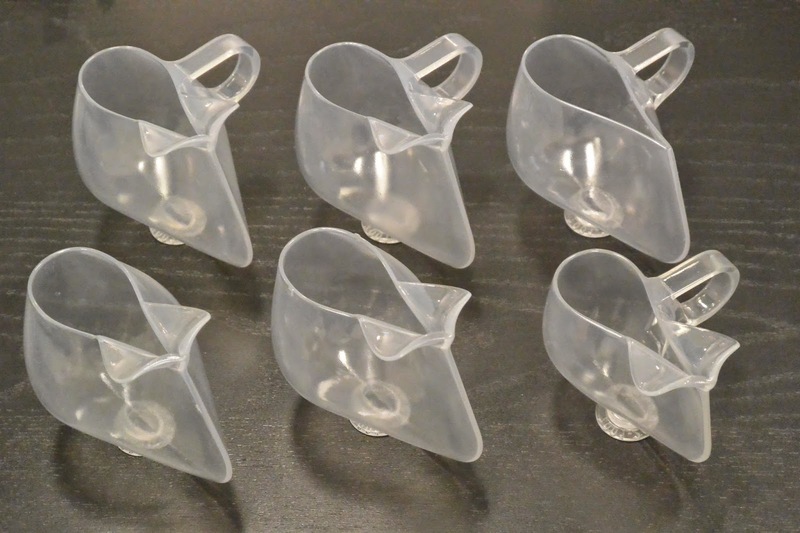 Check out the cool design of the zero-G cups that keeps your cuppa in the cup! It uses a unique capillary effect to do the trick, which is far more preferable than bags of water or coffee. The ISSpresso is designed for bags, but perhaps they'll use these cups for a down-to-earth experience. Alas, ISSpresso is only an experiment, and is scheduled to be returned to earth in September--unless the crew 'forgets' to put it in the returning spacecraft. Please call Congress to save Opportunity and the Lunar Reconnaissance Orbiter (LRO). They need YOUR support as the President's budget request has zero money for both amazing missions. 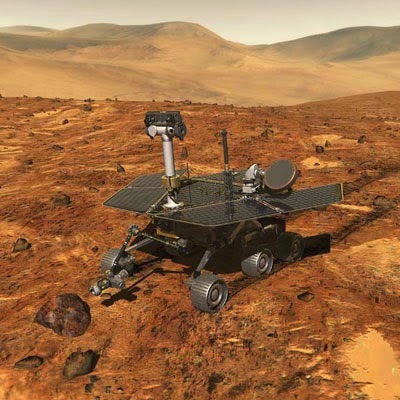 Opportunity costs just $14 million a year to keep alive and exploring Mars. Oppy is entering a fascinating area of very old rocks and will be providing incredible new science. She must not be shut down to save a tiny fraction of the budget. The same goes for the Lunar Reconnaissance Orbiter which is also returning valuable science for a few pennies of the NASA budget. Please call your Senators and Congressman and specify Opportunity and LRO must be specifically included in the budget. Call the Capitol switchboard at 202-224-3121. Target members of the Space Subcommittees and Appropriations Committees as well as your own Members. While these small sums do not require cuts elsewhere, were that the case, it would be better to delay or reduce funding for non-----space projects like the expensive new Central Campus and HQ buildings at KSC which will involve demolishing the historic Apollo-era buildings. Save constructing new buildings for a time when we have money to spare. You are invited to join the Mars Society, the Planetary Society, the National Space Society, ExploreMars and other major space advocacy groups in participating in the 2015 Space Exploration Alliance Legislative (SEA) Blitz in Washington, D.C. from February 22-24. Invite your friends and come join space advocates from around the country to let Congress know that there is strong constituent support for an ambitious space program. You will find this experience to be exciting and rewarding. There will be an information/training session on Sunday, February 22nd, and Congressional visits on Monday, February 23rd and Tuesday, February 24th. If you cannot make it to the event please call your Congressman and Senators on February 23 or 24 and tell them you support space exploration and want space to be a national priority. Commentary: The Coalition to Save Manned Space Exploration endorses and participates in the SEA Blitz. We encourage every space advocate to take a couple days to go to DC and join the effort to educate Members and staff on the importance of having a bold and growing space program. Space has wide but very shallow support in Congress. Witness the declining (in real dollars) of the NASA budget at the time when China and other nations are dramatically increasing their investments. Neil deGrasse Tyson has popularized the call for at least 1% for space so we can actually establish bases on the moon and Mars. We should not be content to watch as our budget gets cut and the decisions are which program to cut to spare another, rather than how to best achieve the goals we want and how to accomplish them in years and not decades. During the SEA Legislative "Blitz," you will have the opportunity to talk to Members of Congress and their staff who are from "non-space" states and districts. They may not be aware of the tremendous benefits the space program has brought to their state or district. As examples; farmers' crop yields rely upon satellite mapping and modern weather forecasts regardless of whether there is space industry in their region, and senior citizens across the country live longer thanks to medical advances developed by the space program. Every state and district therefore really is a "space state and district!" Beyond the myriad economic, exploration and other direct benefits of the space program, or even our greater goals of colonizing space; there's an often overlooked strategic component: If the US does not continue our historic leadership in space (that means a US human presence on both the moon and Mars), we may well end up with the tyrannies on the world controlling space and denying us access in varying ways. Space so ruled would be highly unfriendly to commercial space ventures, and if we are to believe China would not exert such control, then they are setting a very poor example in trying to seize the international waters of the South and East China Seas and the islands and territorial waters which belong to other nations in that region. Space will not automatically remain open to everyone in today's increasingly dangerous world. Many of the 114th Congress Committee and Subcommittee Chairmen of interest for NASA and space have now been selected. Senate: Thad Cochran (R-MS) is the new Chairman of the Appropriations Committee, and Barbara Mikulski (D-MD) is the Ranking Member. John Thune (R-SD) is the new Chairman of the Senate Commerce, Science, and Transportation Committee, and Bill Nelson (D-FL) is the Ranking Member. Ted Cruz (R-TX) chairs the Subcommittee on Space, Science and Competitiveness. On the House side, the Appropriations Committee chairman remains Hal Rogers (R-KY) and the Ranking Member is Nita Lowey (D-NY). John Culberson (R-TX) replaces great space advocate Frank Wolf. Lamar Smith (R-TX) remains the Chairman of the Science, Space and Technology Committee.